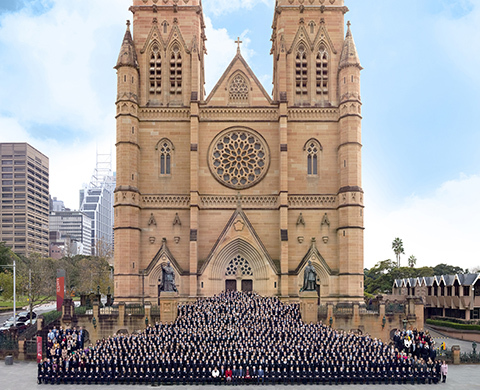 Sydney’s CBD was awash in navy and gold as 1,300 students and staff from Rosebank College will descend into St Mary’s Cathedral on 16 June to celebrate Benedict Day (Founders Day). This year is of particular significance as 2017 marks 150 years of educating young women, and more recently, young men. As one of Australia’s oldest continuing Catholic schools, the College is energised as it draws on ancient wisdom for a modern world.